In November Citibank begins testing electronic credit cards. The cards will have two buttons that allow cardholders, upon paying at the cash register, to choose whether they want to pay the bill with their reward points or credit. To pay with the accumulated program points, card holders will press the request-rewards button before swiping the card. Another button on the card, labeled “regular credit,” selects a straight credit transaction. Pressing the buttons on the cards changes the data imprinted on the magnetic stripe, which is why it can be used on existing card terminals nationwide. If cardholders don? ?t have enough points, the transaction will be processed using credit. The main technology within credit cards is the magnetic identification strip, but these cards are making this new technology available due to the use of an embedded chip. The Citi embedded chip cards are known as 2G, for “second generation,” and are just as thick and flexible as typical plastic credit cards. However, they contain the embedded chip, a battery with a four-year life, and the buttons. Dynamics Inc. is the company that developed the card. 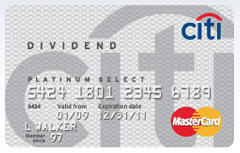 The 2G card will be on the Citi Dividend Platinum Select MasterCard, which gives a 1% cash back on all purchases and 2% on select seasonal categories, and also the Citi PremierPass Elite, which gives holders one point for every dollar spent and mile flown.